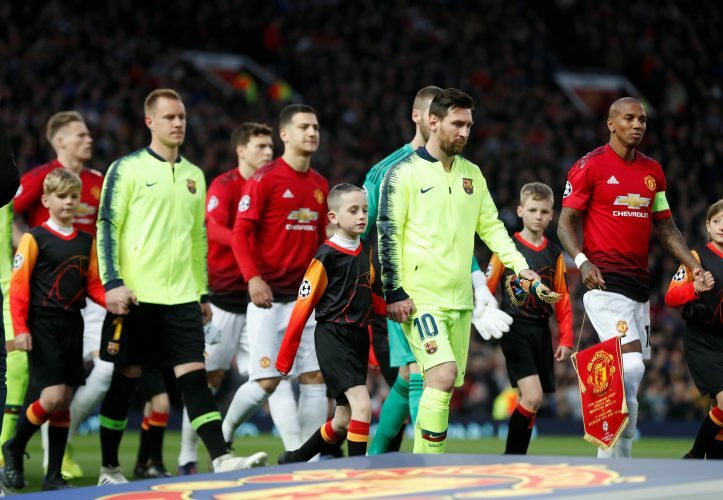 Ole Gunnar Solskjaer will be seeking to climb a mountain twice as his Manchester United visit Camp Nou to try and make a dent in the 1-0 away goal advantage that Barcelona have notched in their quarter-finals clash. The Spanish giants have played it safe in the build-up to this game, resting Messi during their goalless draw against SD Huesca along with many other key players. Their injury line for the moment only comprises of Rafinha, with Ousmane Dembele looking crisp in the aforementioned game. Ernesto Valverde is not one to change a winning team and is likely to stick with the same starting lineup that saw tremendous success at Old Trafford. Will the late heroics that Solskjaer has immortalized at the Camp Nou strike true again on Tuesday? The Red Devils’ injury list presently comprises of Eric Bailly and Ander Herrera, although the two could be in contention alongside the likes of Matteo Darmian and Antonio Valencia. Luke Shaw, who’s first-leg own goal is the point of United’s woe, will miss out on the game due to suspension. The more serious return for the game will be that of Alexis Sanchez, who has functioned for the Catalan giants before. Akin to their other famous away fixtures this season, United seem likely to press high and rely on solid defending and counter-attacking football in order to make a keen impact. The Norwegian gaffer has made it clear that a late goal will be one that he won’t be surprised by and the likes of Paul Pogba and Marcus Rashford ought to ensure that precisely that occurs.